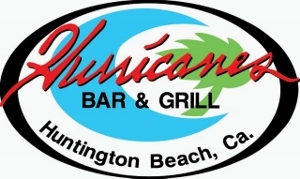 Hurricanes 3-2-1 Ultimate Happy Hour has been Voted The #1 Happy Hour In Huntington Beach since 2005. Join us daily for 1/2 priced Appetizers Brews & Spirits Mon-Fri 4pm to 7pm, Saturday 5pm to 7pm and Sunday 5pm to 6pm. Also join them for their Late Night Bites happening every night. 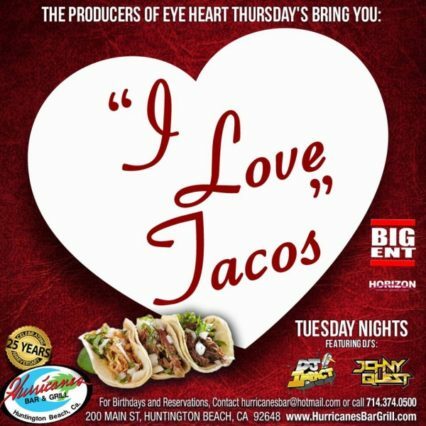 For over 25 years Hurricanes has continued to honor the flavorful history of California in a BIG and delicious way. They don't kid around! They pride themselves on making every item from scratch daily and to order. From rich and creamy clam chowders to thick char-grilled sirloin steak burgers, mountainous sandwich creations, teasing and tasty taco platters and mouthwatering bacon mac n chi just to name a few of over 60 items to choose from. Combined with a full bar and 20 ice cold taps and we have the recipe for the best experience this side of the Mississippi. Join them daily for live sporting events or nightly for dancing. And for a special treat, their #1 Ultimate Happy Hour is now served daily starting at 4P M-F and 5p weekends.